This house / villa , with a land size of 3000 m² (about 0,74 acres) contains 10 rooms including 5 bedrooms, 1 bathroom and 1 toilet. It is equipped with a living room and with a garage. 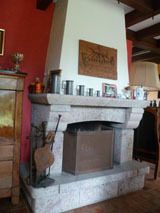 Others : fireplace. Charming restored \'Maison de Maître\' set in the centre of a small town between Auxi Le Chateau and the coast. It includes: entrance hall, large living/dining room, fitted kitchen, utility room, sitting room, 3 bedrooms with wood floorings, shower room, bathroom, 2 wc. 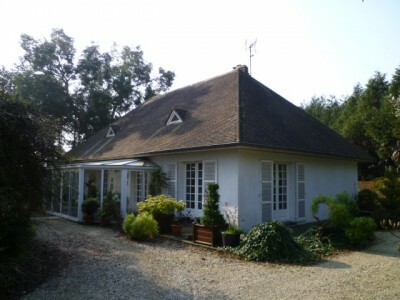 Roof in really good condition, double cellar, double garage, outbuilding, pretty garden of 492 m² . Early viewing recommended! Attractive new house situated in a very nice village of the Planquette valley, it has fitted kitchen, dining room, 2 living rooms with open fireplace and french windows, 4 bedrooms, bathroom and shower room, basement and garden of 2800 m2. Oil central heating. Two bedrooms of 13 m² each and one other of 11 m². Loft to be converted (100m² possible). Modern house with large basement. 3 kms drive to the town. Pretty garden of 1200 m². Living / dining room of 30 m² with fireplace, 2 bedrooms of 12 m² each, Shower room comprising large shower and washbasin, separate toilet. 2 bedrooms of 9 m² and 12 m², Room used as storage of 8 m². 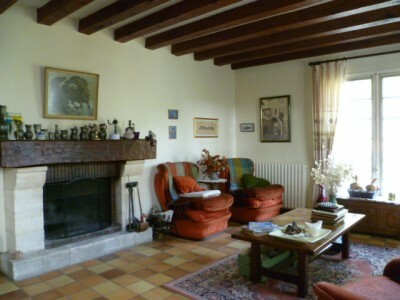 Old farmhouse with outbuildings, in a very quiet position, just 2 miles to the town. Veranda of 25m², fitted kitchen of 10m², WC, laundry of 17m². 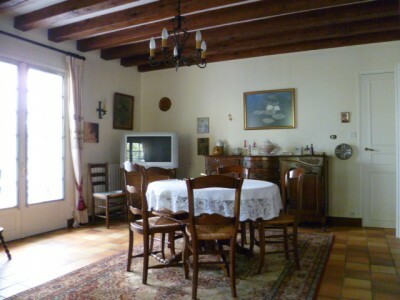 OUTBUIDLINGS : Room of 20 m² with fireplace, other room of 8 m², old stables of 180 m² on floor, wine cellar. 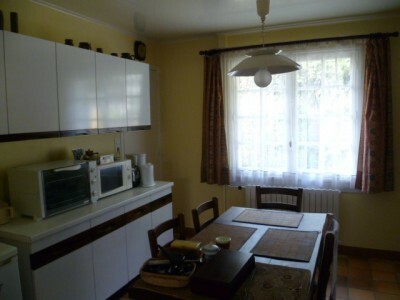 Modern House with basement situated 200 m. to the facilities and 2 kms to the sea side. 3 bedrooms of 12 m², 12 m² and 14 m², bathroom and separate toilet. ON 1ST FLOOR : 1 Bedroom and attic to be converted. ON BASEMENT : 1 bedroom, laundry with shower and WC. Garage for 2 vehicles, boiler room, workshop, wine cellar. This house / villa , with a land size of 1180 m² (about 0,29 acres) comprises 6 rooms including 4 bedrooms, 1 bathroom and 1 toilet. It is provided with a living room, with a terrace, with a garage and with a cellar. Others : fireplace. This house / villa (farm building) , with a land size of 20000 m² (about 4,94 acres) has 9 rooms including 4 bedrooms, 1 bathroom and 1 toilet. It has a living room and a garage. Lovely Secluded Stone House. La Haye du Puits area. In the countryside but near the town. 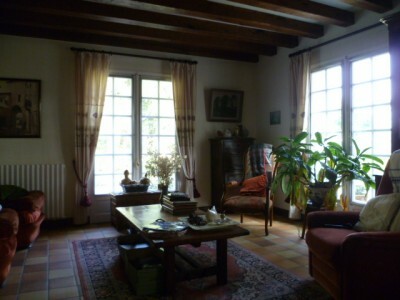 Situated in a very quiet position, restored house with large outbuidling. shower room comprising washbasin and shower, boiler room of 16 m². On 1st floor : Landing with cupboards, 2 bedrooms of 11 m² and 16 m², shower room comprising shower, washbasin and WC. Large attic of 70 m² to be converted. On 2nd floor : Bedroom of 12 m². Oil central heating, septic tank. Open garage for one vehicle, old barn of 30 m². Maison située à la mer offrant un logement indépendant au sous-sol. SOUS-COMBLES : Mezzanine de 10m², bureau de 8m², première chambre de 8m².Deux autres chambres de 8m² chacune pouvant être réunies. SOUS-SOL : Pièce à vivre de 25m² avec coin cuisinette, chambre de 15m² équipée, d\'une salle d\'eau privative, comprenant douche, lavabo et WC. Chauffage central au fuel (citerne enterrée). Bungalow situated near the beach and a village. Large garden open on the countryside. Fully fitted kitchen, living-room with fireplace. 2 bedrooms, a shower room comprising a shower and a washbasin. Large Family House. Lessay area. Superb renovation for this property with garage, outbuilding, courtyard and garden of about 1200 m², situated in the country side. shower room comprising shower and double washbasins, small laundry, independent WC. On 1st floor : Landing, bedroom of 12 m², bedroom of 20 m², bedroom of 32 m² ( cosmetic to finish). Wiring in place for future radiators, « fosse toutes eaux » Attic to be converted. Open garage for one car. Stone and cob built outbuilding of 8 m X 4 m.
Room of 24 m² with washbasin and fireplace, independent WC. Barn of 24 m² with attic. Bathroom comprising bath, washbasin and bidet. 2 rooms of 30 m² (with fireplace) and 22 m². Attic to be converted. Independent access by a small road for this outbuilding. Outbuilding 2...Comprising garage of 50 m², room of 18 m² with fireplace, room of 30 m² with sink and other small garage. Land of one acre with large courtyard and field attached.